Born in 1950 in Romford, Crowley studied at St Martin’s School of Art and the Royal College of Art, London. He has held a number of significant teaching posts, most recently Professor of Painting at the RCA. He has shown in seven previous John Moores exhibitions and won joint second prize in 1987. He is represented in several public collections and has exhibited in numerous group shows, winning the ING Purchase Prize at The Discerning Eye Mall Galleries, London in 2004. 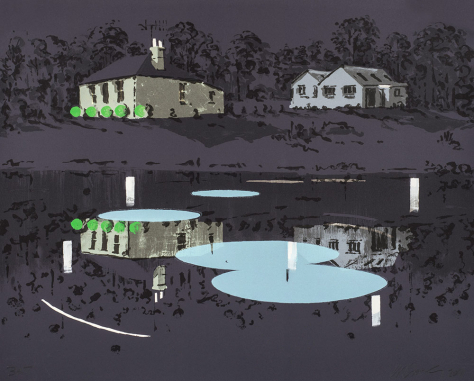 For the first time in its history the Atkinson Gallery has commissioned a collaboration by Graham Crowley and Master Printer Martyn Grimmer at Spike Print Studio, Bristol to create an original print in a limited edition of 50, each signed by the artist. The result promises to be stunning and will be unveiled at the Graham Crowley exhibition, with the proceeds of each print sold being donated to Millfield’s charitable causes.